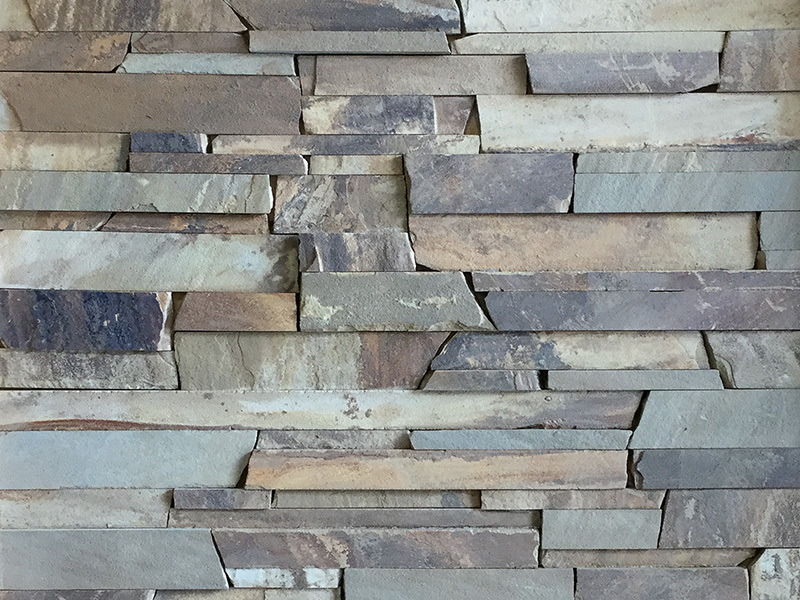 Burnt Ember Ledgestone, which is available in ThinCut only, includes a combination of three different sawn heights of 1", 2", and 3" and has a natural front and back. This collection of 100% smooth bed-face stones is a rugged and rustic blend of browns, smoky grays, light blues, and rust colored accents. Heights: 1", 2" and 3"